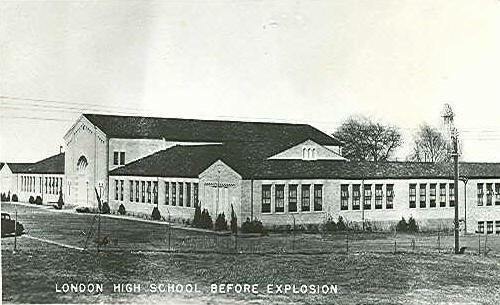 My mother did not usually share horrible stories, but she often talked about the New London School explosion that occurred on March 18, 1937. 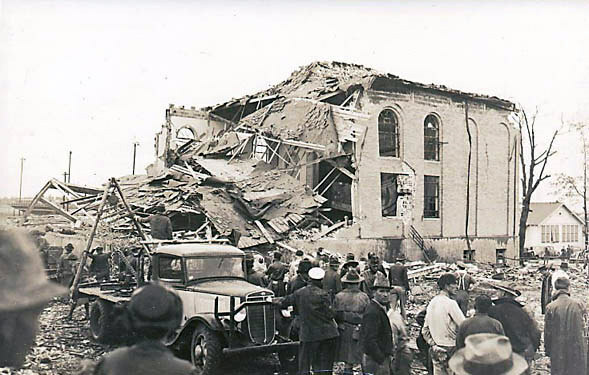 As I read more about that day, I realized that despite it being classified as the third deadliest disaster in Texas, after the 1900 Galveston Hurricane and the 1947 Texas City Disaster, it has never received the attention it deserves. located in the heart of this 140,000-acre field, was flush with money, and had celebrated the construction in 1932 of its $1 million steel and concrete school. The football team was proudly called the London Wildcats (for the oil prospector know as a “wildcatter”). Instead of using the architect’s plan for a boiler and steam distribution system, the school board elected to install seventy-two gas heaters throughout the building. On January 18, 1937, the school board decided to save approximately $300 a month on its natural gas contract by tapping into a residue gas line. 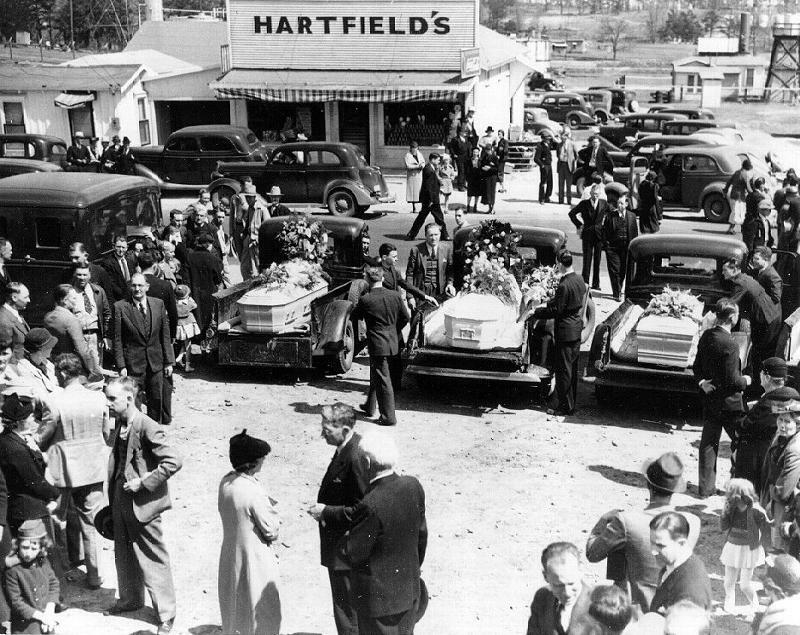 Natural gas at that time was seen as a waste product of oil, and it was burned or “flared off.” It was a common practice in the oilfield towns for homes, businesses, and churches to tap into the “raw” gas lines to save the cost of regular gas delivery. The quality of the “raw” gas varied sometimes even from hour to hour, and it was odorless and colorless. No one was aware that gas had been leaking from a faulty connection at the school and collecting under the building in a 253-foot long crawlspace. Student complaints of headaches had been ignored. Parents were holding a PTA meeting in a building about 100 feet from the main structure. Between 3:05 and 3:20 PM, an instructor of manual training began operating an electric sander. It is believed the sander’s switch caused the spark that ignited the gas. The explosion was heard for miles. Witnesses reported that the walls of the school bulged, the roof lifted up and then crashed down, collapsing the main wing of the building and burying the victims in a mass of brick, steel, and concrete. A two-ton concrete block was thrown into a nearby car. 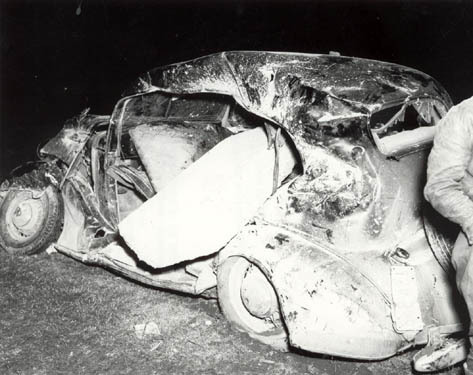 Two-ton concrete block thrown into a nearby car. News spread over telephone and Western Union lines. Parents and residents of the town used their bare hands to claw through the rubble, and oilfield workers with cutting torches and heavy-duty equipment worked feverishly throughout the night in a steady rain. Within seventeen hours, all the victims were found and the debris was removed. Governor James Allred sent Texas Rangers, the highway patrol, and Texas National Guard. A hospital in nearby Tyler that was scheduled to open the following day, began treating the survivors. Doctors, nurses, and embalmers hurried to the scene; Boy Scouts and airmen from a nearby airfield rushed to help. hometowns for burial. Most of the bodies were burned beyond recognition, or blown to pieces. Assistance and condolences came from all over the world, including from the German Chancellor, Adolf Hitler, who sent a telegram paying his respects. A copy is on display at the London Museum. The aftermath of the tragedy resulted in the Texas Legislature passing a law, which quickly spread worldwide, requiring that malodorants, strong-smelling odors, be mixed with gas creating the telltale odor as a warning of danger. The legislature also enacted what is known today as the Texas Engineering Practice Act, which means that only licensed engineers can install natural gas connections. Although more than seventy lawsuits against the school district and the gasoline company were filed, only a few came to trial, and they were dismissed for lack of evidence. No school officials were found to be liable. The superintendent of schools, who lost one of his own children in the explosion, was forced to resign as rumors spread that he would be lynched. 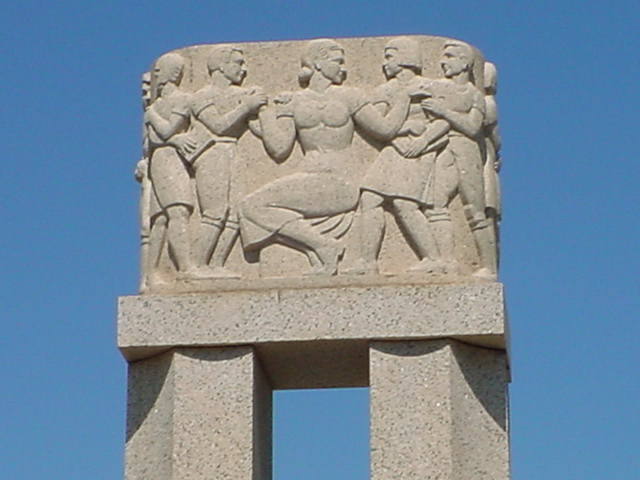 pink granite cenotaph commemorating the disaster was erected in front of the new school. What a tragedy. I will never complain about the obnoxious odors in gas again. Gas explosions on this scale usually cause terrible devastation and this is indeed terrible. I’d never heard about or read about this until now and i thank you, Myra, for sharing it, grim and all as it is. As usual, your telling is filled with the most interesting, relevant detail beautifully delivered. As sad as it is, I’m glad to be able to share the story. It needs to be told. Thanks, John, for your continued encouragement. Wow! That is a good one. I grew up in a refinery town. I remember the flares and the smell. Shell, Standard Oil, and Sunoco, I remember the smell, you wouldn’t notice it after a week or two. I offended someone by mentioning the smell. I was informed that it was the smell of money. Yes, it was horrible. Good that laws were finally passed to add odor to gas so that people can smell it. yes. I had gas in a house and was able to smell a leak. Too bad that people had to die to make that happen.